On the 9th of October My mum dad and I went to the cinemas to find our seats as we sat down i was excited to see the maze runner but we had to go toilet, when we came back from the toilets the movie started. it started off when there was a man that couldn't remember anything even his name but a man called Alby just told him that “you’ll remember a hour or two” and when it was a two hours ago he was having a competition with the leader of the glade (village and people) Gally. he was having a wrestling competition if you go out of the circle you lose the match, until he was pushed to the ground he said “Thomas, my name is Thomas I remember my name! My name is Thomas!” One of the people from the crowd said “correct!” then the crowd went wild “welcome home Thomas” Gally said. 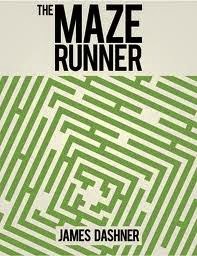 When Thomas was going to look at something called the maze a Large maze but if you get stuck you will have to survive a night with gravers there mechanical spider aliens there like spiders with stingers that make people get mind controlled to kill people but Thomas came back to the glade and shouted “help help!” and everyone went to help out Thomas. when the maze runner was nearly finish we got ready to go out of the hunters plaza the movie finished we went outside and I continued eating the popcorn while we were going to the car park I was so full and tired of eating popcorn.